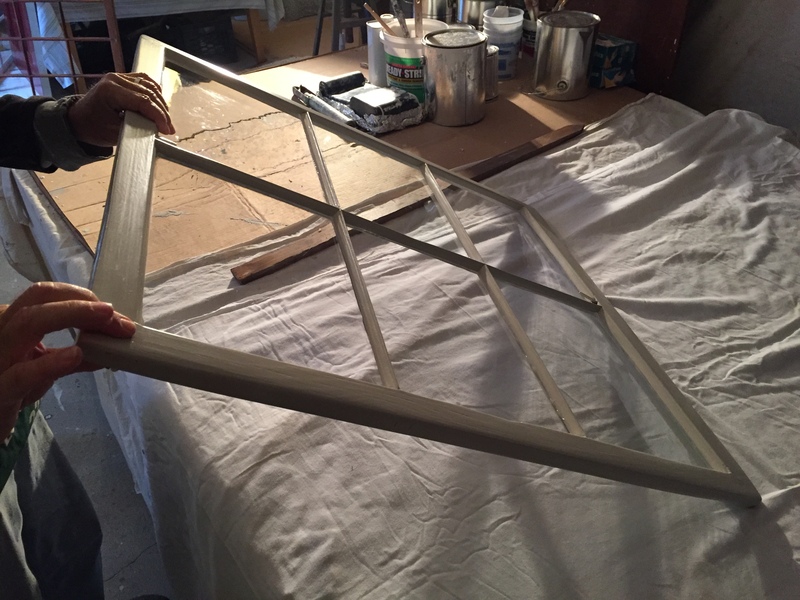 Brian FitzGibbon, antique window-restoration expert, has taken out only one ad since he began working on historic homes. At age seventeen, he started a painting business and put a small classified ad in his New Jersey hometown newspaper. His phone has been ringing ever since. The youngest of seven children, Brian grew up in a Victorian house. When he was still in high school, his parents hired Italian master craftsman Antonio Pinola to work on the house and Brian spent thousands of hours working alongside Antonio. “He hated doing windows, and our house had tons of windows, so he trained me to work on them,” Brian says. 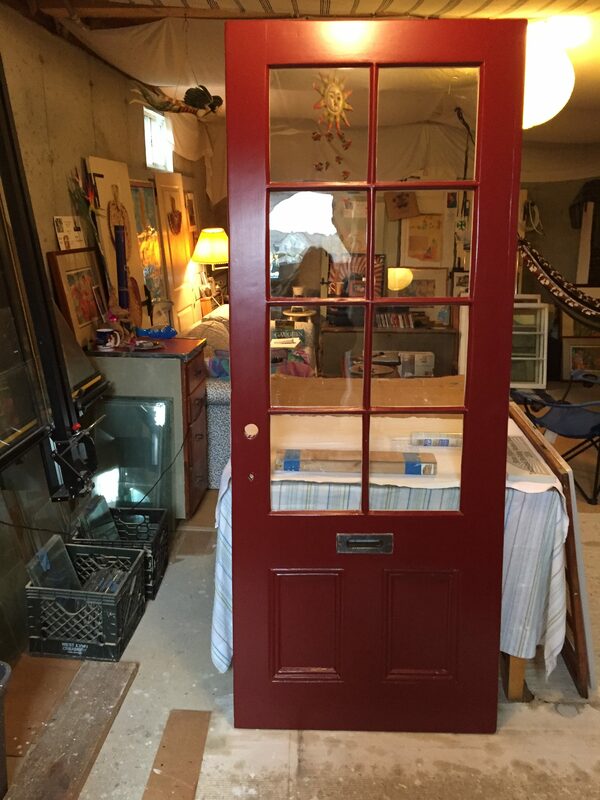 While well versed in many trades, Brian had dedicated his work to saving Nantucket’s antique windows. Why windows? There’s beauty in looking through the imperfect, hand-blown glass. When you look through old windows, Brian says, you are looking back on the world the way it would have been seen two hundred years ago. Nearly all window frames made prior to 1940 were made with old growth wood. 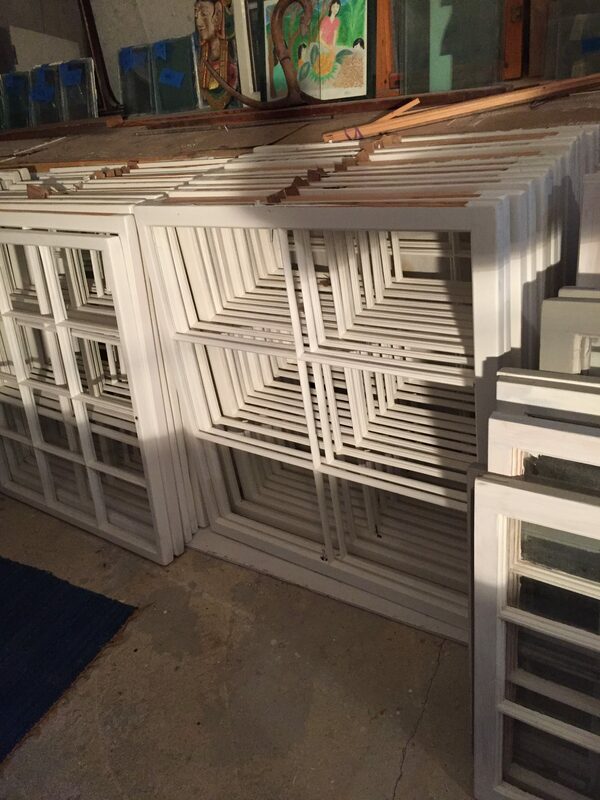 Antique window frames were made from the finest grades of lumber, easily disassembled and repaired, and meant to last for generations. Before machines, each sash was carved by hand. It is an exceptional feeling to hold in your hands a window made by a Nantucketer more than two hundred years ago. You think of all the storms the paper-thin glass has endured. So why are these beautiful, impeccably made antique windows rapidly disappearing from Nantucket, and from countless houses across the country? One of the biggest misconceptions about antique windows is that new windows are more energy efficient. Nothing could be further from the truth. Manufacturing replacement windows is highly energy intensive, and often involves long-distance shipping that uses even more natural resources. It would take many years to recoup the cost of replacement windows through energy savings—often longer than the life of the replacement windows themselves. With proper installation, copper weather-stripping, and exterior storm windows, antique windows can equal or beat the insulative value of new windows. Window frames painted and waiting for glass. “I want to help these houses live for generations,” Brian says. This year, he worked on restoring the windows of 100 Main Street and Shanunga in ’Sconset. That’s over a hundred sashes. Brian does all the work himself, by hand. Brian’s especially thrilled to be working on Shanunga, one of his favorite houses on the island. The historic cottages of ’Sconset are an absolute delight to all that stroll by them, and he’d love to do more work on these important cottages. Imagine what the island would have looked like when all windows were handcrafted glass. The weather is still warm here on Nantucket, but many of our island visitors and friends have begun their journeys home as the new school year looms on the horizon. 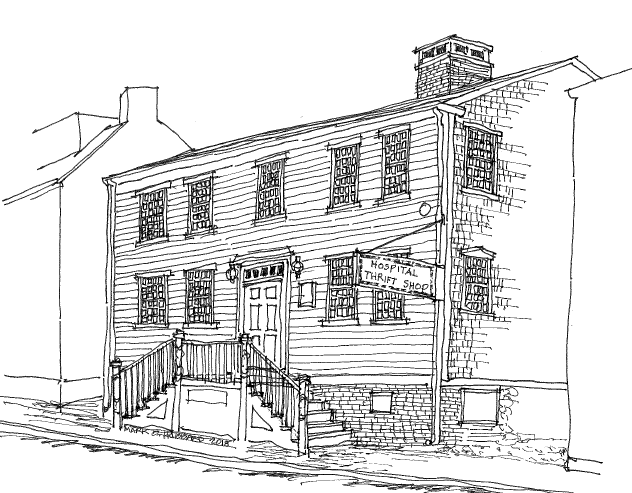 With that in mind, this week’s post looks at the history of the Academy Hill School building on Nantucket. Did you know that Academy Lane was not named for the big brick building that sits atop it? Instead, it was named for an earlier private school called The Academy, situated north of the public school. 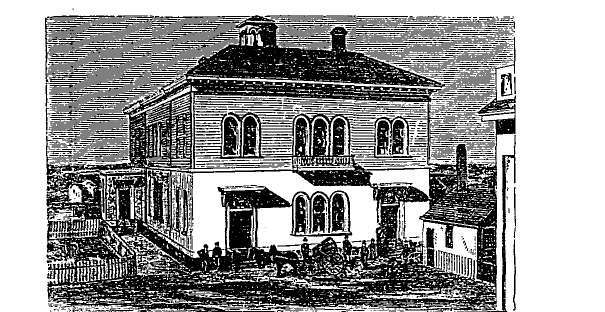 The Academy was in existence by 1800, but by 1818 the building had been sold to the First Congregational Church. Academy Hill in the 1850s. In 1856, the first class at Academy Hill had 129 students. The original Academy Hill building was wood construction and opened on December 2, 1856. The firm of Easton and Thompson constructed the building for a cost of $20,000. 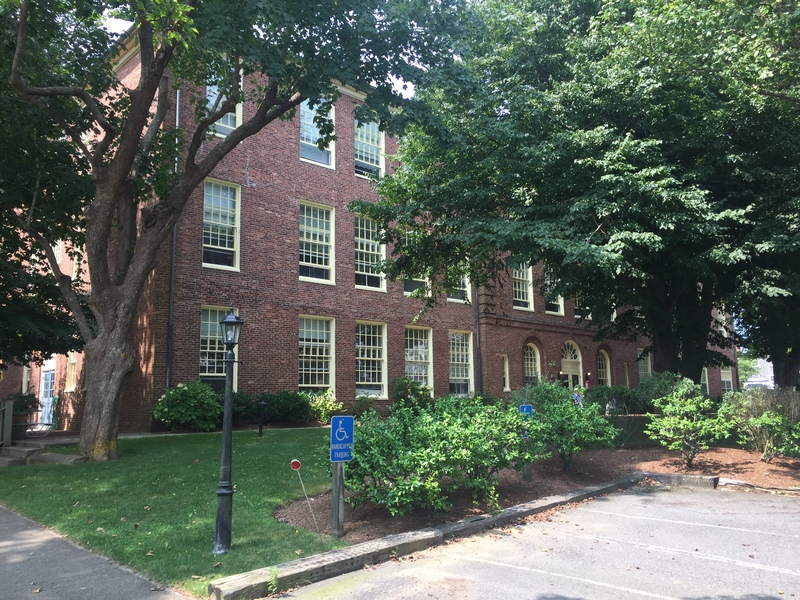 The wooden Academy Hill school underwent modernization and alterations in 1904, totaling $10,700 in improvements. Ten years later, in 1914, further alterations were made, including the addition of a south wing. But by 1927, there was a need for a new school building. The town was split on what to do about Academy Hill. Some thought the site was too small, others wanted the new building to remain in the same location. The wooden structure was taken down and reconstructed as a three-story brick school building, opening for the school year 1929. By 1977, the grand brick building was showing its age. It was far too small to keep up with the population on the island. That year, one-third of all Nantucket children went to school in temporary facilities. In 1979, the Town of Nantucket sought proposals from bidders to transform the old school building into housing for the elderly. 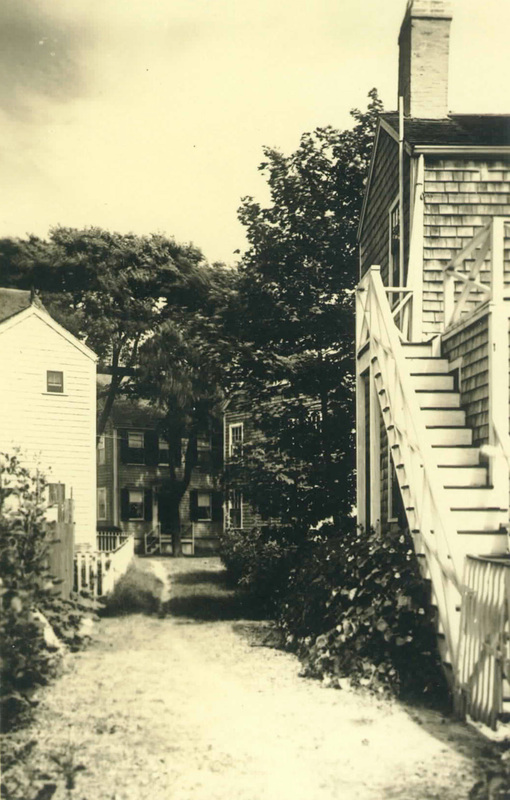 In 1986, Academy Hill reopened with 27 apartments for senior citizens on Nantucket, finding new life for the old building. We’re thrilled to partner with the Nantucket Historical Association to present a lecture on The Life and Work of Addison Mizner with author Richard René Silvin. 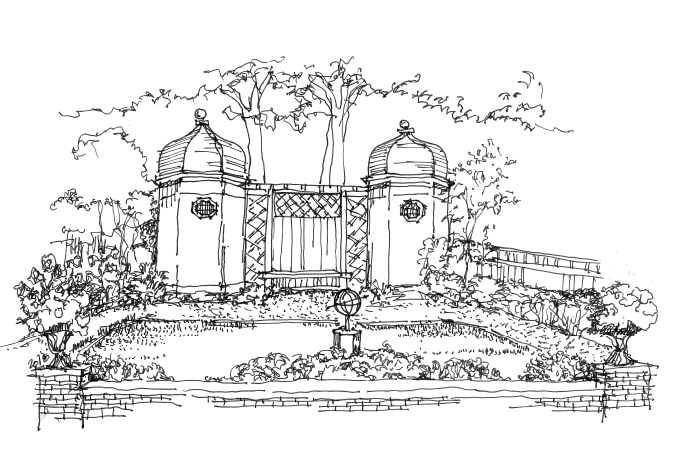 Join us Thursday, August 23 at 6:00 PM at the Nantucket Whaling Museum to learn more about the noted (and elusive) society architect of Palm Beach, Addison Mizner. Tickets available here. 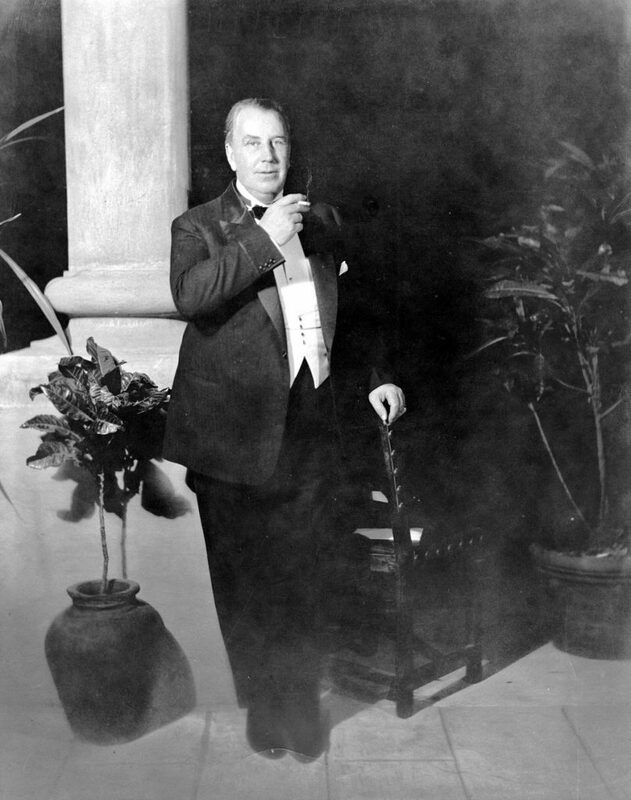 Addison Mizner (1872-1933) spent his early life in Spain and Central America. His father was US minister to Guatemala, and young Mizner was heavily influenced by Spanish culture and heritage. He spent ten years as an apprentice before unleashing his talent on the architecture scene. Mizer’s first major commission was the Everglades Club, one of the world’s most exclusive golf clubs. Mizner went on to design many buildings in the Palm Beach area and was a driving force in the development of the city of Boca Raton. Richard René Silvin’s fascinating life has taken him all over the world. Born in New York, he grew up attending Swiss boarding schools. He earned a BA from Georgetown University and an MBA from Cornell University, after which he spent 25 years in the investor owned hospital industry. He was the head of the International Division of American Medical International, Inc. which owned and operated hospitals in ten countries. Silvin survived a late-stage cancer and retired from his role at American Medical International, only to begin an exciting second career as an author. 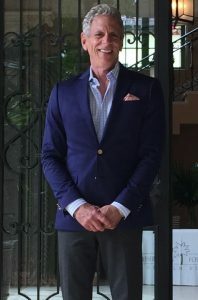 Silvan has published five books, including a memoir about his friendship with the late Duchess of Windsor and a history of Palm Beach as seen through the eyes of Mizner. His latest work is about the SS Normandie, the French Lien’s magnificent 1930’s flagship. Silvin has lectured widely on hospital administration and comparative international care systems. He is currently the vice-chairman of the Palm Beach Landmarks Preservation Commission. Get your tickets online here or by calling the NHA, 508.228.1894. 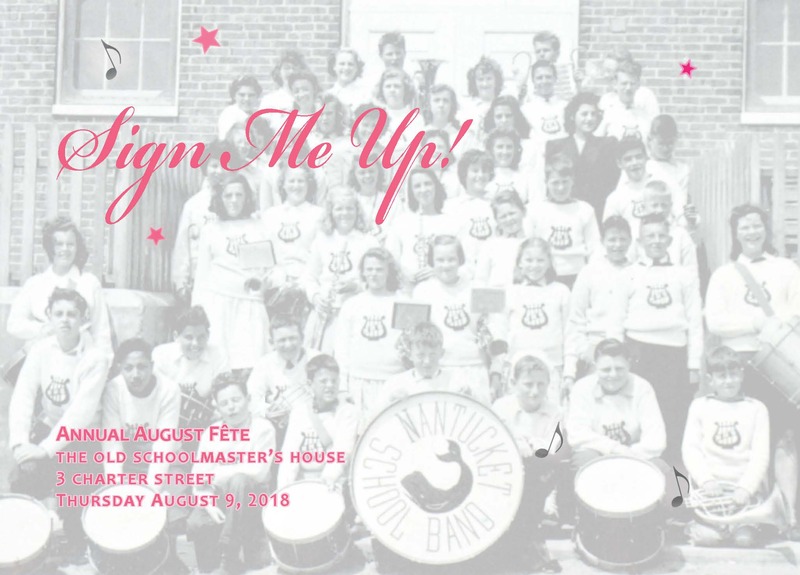 August is finally here, and with it comes our most-anticipated event of the year, the annual August Fête! This year’s Fête takes place on Thursday, August 9th from 6:00 PM to 9:00 PM and explores the School Street neighborhood. 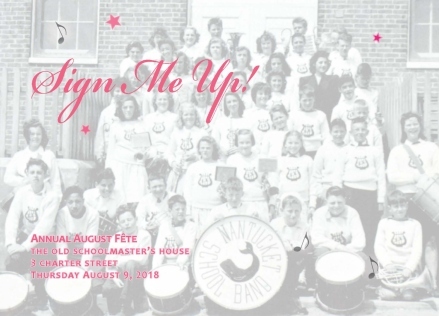 You’ll get a chance to tour four historic homes and enjoy a tented reception on the lawn of the Old Schoolmaster’s House. 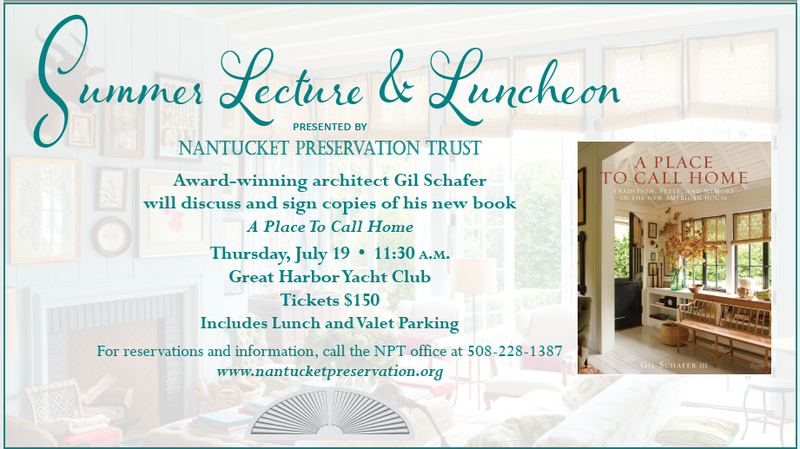 With refreshments and libations from the Nantucket Catering Company and Spanky’s Raw Bar, entertainment from the Shep Cats, and our thoughtfully curated Sense of Place exhibit and auction, you’ll have a fantastic time celebrating Nantucket’s architectural history. 22 Fair Street, one of the historic homes you’ll tour at the August Fete. There’s still time to get your tickets. Give us a call at 508.228.1387 to reserve yours today. New this year is our pre-check in, where we are encouraging guests to stop by the NPT offices on 11 Centre Street Monday-Wednesday this week to pick up your buttons that will let you in to the reception site and all the open houses. Skip the line and spend more time enjoying yourself at the 2018 August Fête. 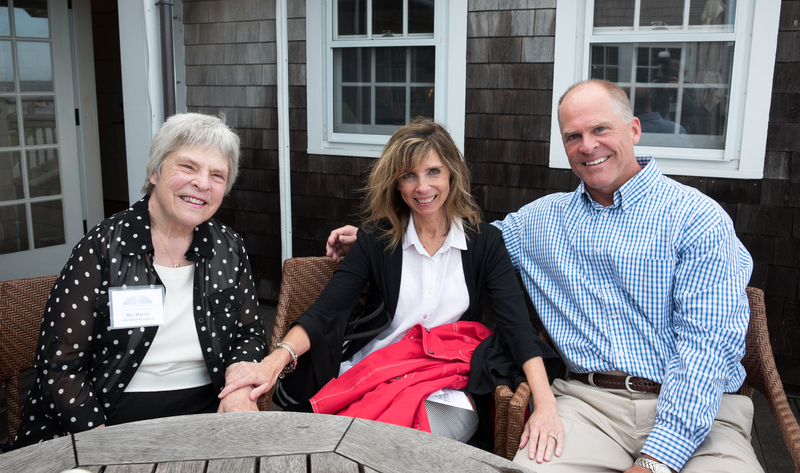 The festivities continue Friday, August 10th with two events at the Nantucket Summer Antiques Show to sponsor the NPT’s Mary Helen and Michael Fabacher Scholarship. Shop with award-winning interior designer Susan Zises Green at 9:00 AM and learn how to make the most of your antique show finds. Tickets are very limited and $100 per person. Includes 10:00 AM preview shopping and brunch, as well as admission to the Antiques Show all four days. At 10:00 AM on Friday, the annual Strawberries & Cream Preview Brunch is a fun way to kick off the Antiques Show weekend and get an early look at all the vendors. Tickets are included with Fête leadership, $40 in advance, or $45 at the door. Call us at 508.228.1387 to reserve your tickets today for all these exciting events. 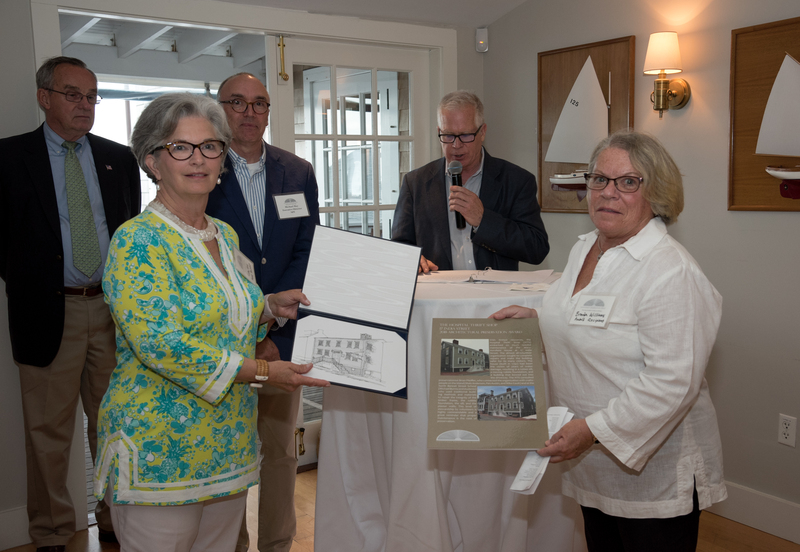 Last week, we gathered to honor the 2018 Preservation Award recipients at the Governor’s room of the Great Harbor Yacht Club. 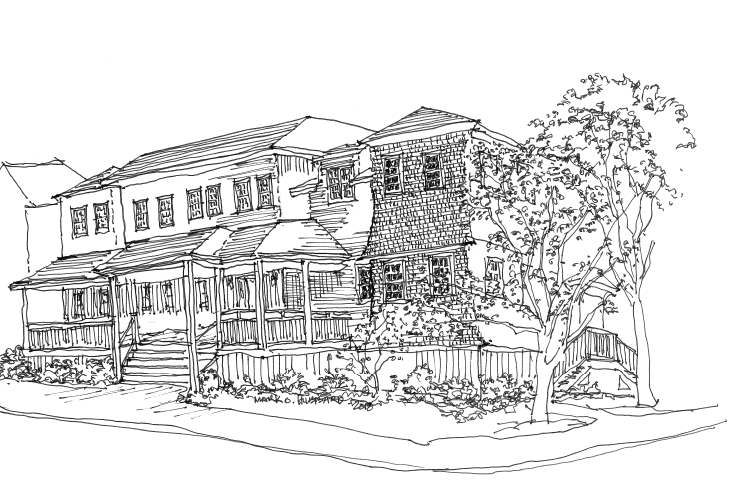 Thanks to all who participated, and to Mark Hubbard for the beautiful pen-and-ink drawings of the award winning properties. With limited resources, the Hospital Thrift Shop (HTS) embarked on much needed maintenance of the Macy-Horsfield House at 17 India Street. The almost all-volunteer organization sought to make the building safer for its many visitors. 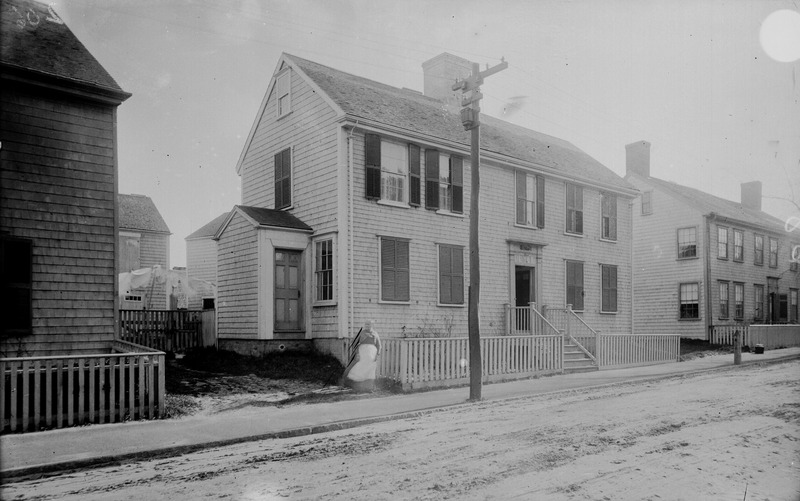 The house (built in 1792) had been the victim of years of water damage, resulting in a rotten sill, a moving rubble foundation, and a building that bowed out into the driveway. The HTS consulted preservationist Brian Pfeiffer, who connected the organization with craftpeople on the island (Matt Anderson, Pen Austin, and Mike Gault) and at the North Bennet Street School (Michael Burrey and students) who used traditional building methods and materials to repair the integrity of the timber frame, the rubble foundation, the sill, and the plaster walls. This level of stewardship by volunteers is highly commendable and a great reminder that proper maintenance is the root of preservation. The house and gardens at 69 Main Street (Mitchell-Beinecke house, ca. 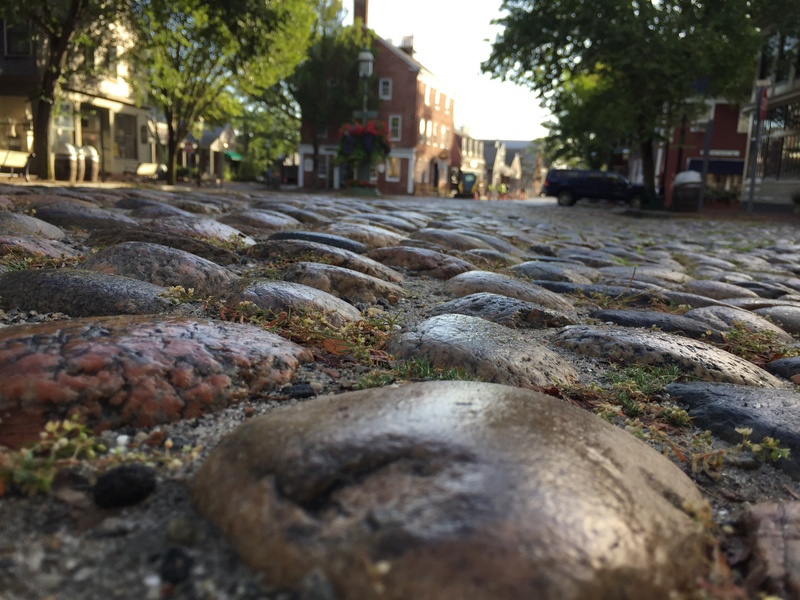 1821-1833), now under the stewardship of Mrs. Mariann Appley, are an important part of the Upper Main Street landscape. 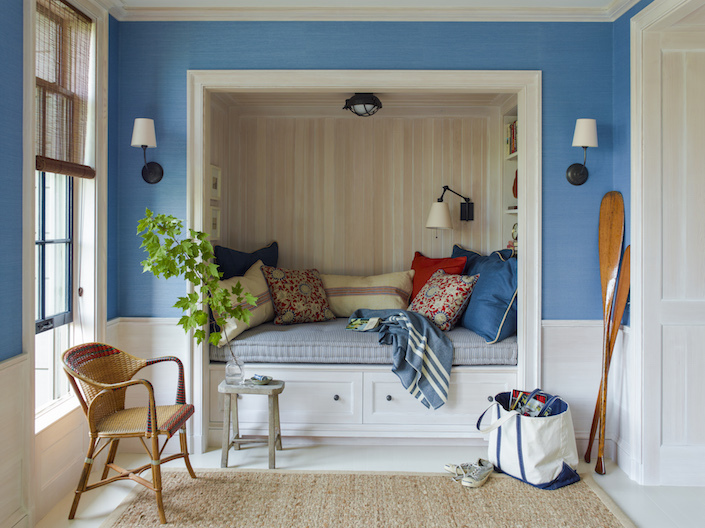 The house is a reminder of the wealth whaling brought to Nantucket, while the gardens are illustrative of the island’s reinvention in the 1960s and 1970s, as spurred, in large part, by former owner Walter Beinecke. As part of the 1962 restoration, Beinecke added a formal garden, a greenhouse and the Georgian-inspired tool-houses connected by a bench and arbor, in keeping with the character and period of the restoration. Mrs. Appley purchased the property in 1979. 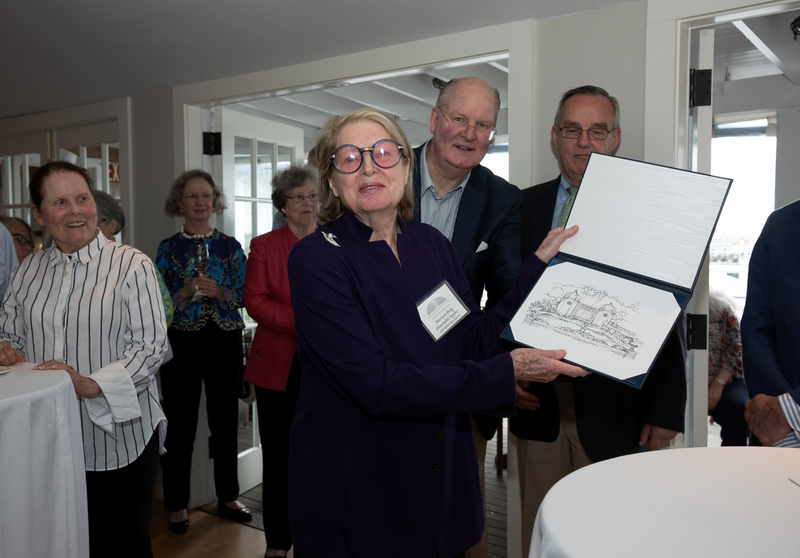 She is accomplished gardener and long-time member and former President of the Nantucket Garden Club. 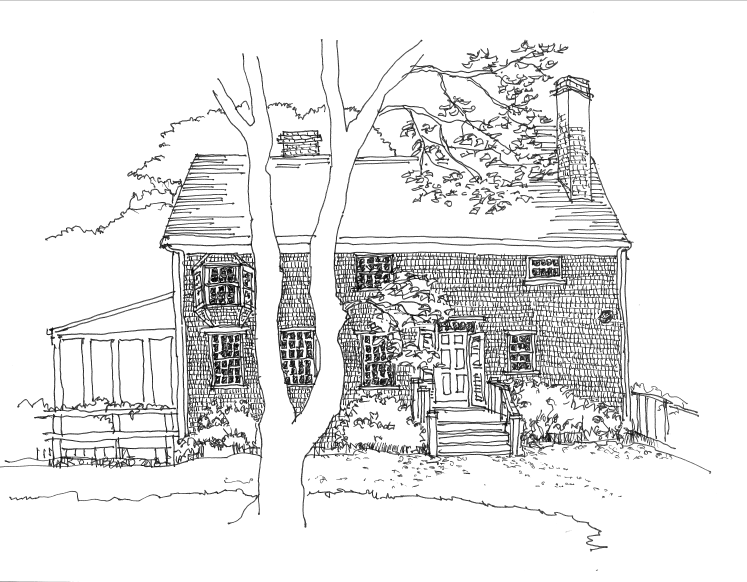 Understanding the importance of the both the house and grounds at 69 Main Street, she will be placing a preservation easement on the interior, exterior, and gardens of the property. Not only has she been a careful steward of the property’s landscape, but the easement will ensure it is protected for decades to come. 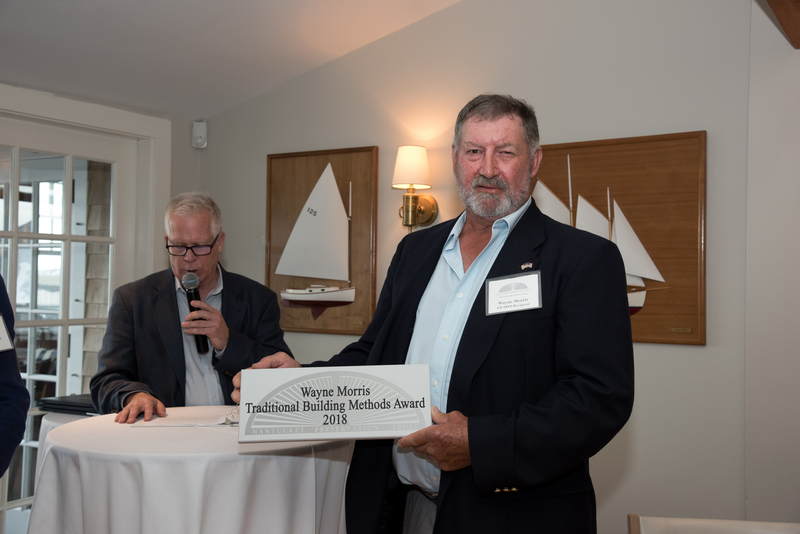 The NPT is pleased to recognize mason Wayne Morris in honor of his more than forty years of service to the island’s historic structures. He is well known among island craftspeople and tradespeople for his hard work, fairness, expert ability, and his willingness to think outside the box. Mr. Morris has worked on numerous buildings on the island, both private and public. Many of these buildings are an integral part of this community and include landmarks such as St. Paul’s Church where he worked on the new addition; the Coffin School on Winter Street where he replaced damaged brick and developed appropriate mortar; and the Maria Mitchell Science Library on Vestal Street, where he repaired the stucco wall system. Designing a large commercial building in a historic district is not an easy task and poses many challenges. 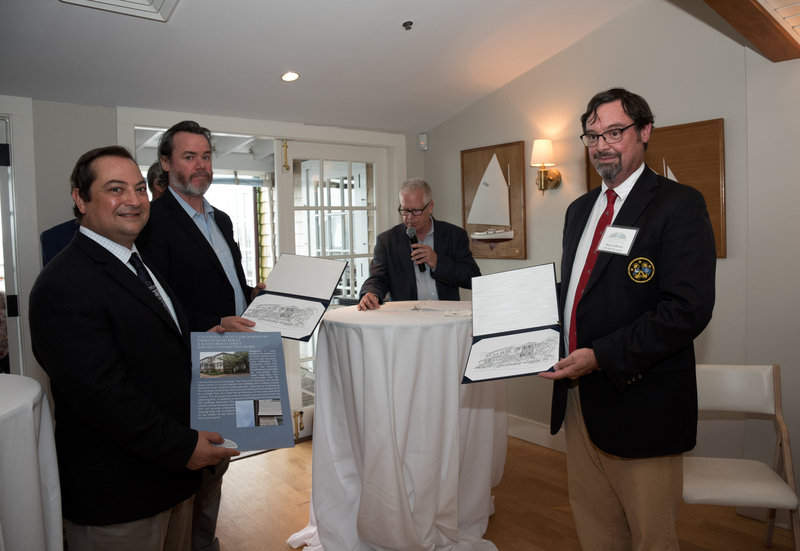 The Nantucket Yacht Club (NYC) and Emeritus Development were able to successfully complete large-scale, new construction that fits into the historic surroundings. The Yacht Club Dormitory at 4 South Beach Street is a 6,000-square foot building and contains sixteen dormitory units. Emeritus addressed the challenge by breaking up the massing, employing a low roof, and adding ornamentation like a shingle flare, to evoke the architecture of the early twentieth century. The structure also took its design cues and scale from the adjoining NYC. In addition to sensitively fitting into the streetscape, this building addresses the island’s critical housing need and will provide employee housing that will contribute to the vitality of the downtown year-round.